Tech grapevine is rife with speculations about Xiaomi’s upcoming smartphone Mi 6. According to multiple reports, the smartphone may not launch in March as rumoured before. Latest rumours suggest that the handset will be launching on February 14. The launch new date is said to be based on an alleged official invite for Xiaomi Mi 6’s launch event shared by a tipster on Chinese microblogging website Weibo. Incidentally, there are several posts on Weibo that claim that the handset will launch in April. The delay is said to be due to Samsung’s inability to manufacture enough 10nm processors for the Qualcomm Snapdragon 835, which is said to power the device. Xiaomi, on its part, has not revealed anything about the upcoming flagship smartphone so far. However, a prototype image leaked recently claimed to reveal how the new smartphone may look like. 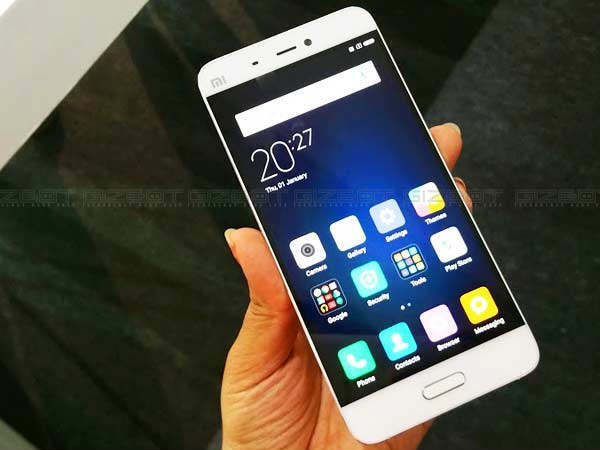 From the picture, which is not very clear, it looks like that the smartphone may sport a design similar to that of the company’s current flagship Mi 5. A physical Home button is also visible below the display. However, the button appears to be slightly thicker this time, similar to the ones used in Samsung’s Galaxy smartphones. As in the case of Mi 5, the Xiaomi Mi 6 may too come with a slightly curved back panel. According to some reports, Xiaomi has also asked fans to choose from three set of features suggested by the company that they will like to see in the upcoming Mi 6 smartphone. The options include: first, a Qualcomm Snapdragon 8xx SoC, 4GB RAM, 20MP rear camera, 32GB inbuilt storage and a ‘light metal body’. Second option: dual-rear camera setup, 4GB RAM, 64GB internal storage, Snapdragon 65x SoC and a ‘curved glass body’. Third set comprises Snapdragon 65x SoC, dual rear camera setup with no OIS, 6GB RAM, 64GB on-board storage and ‘light metal body’.